“No matter what your circumstances may be at the time, when you set out to achieve something, always begin with the belief that you just might do it. 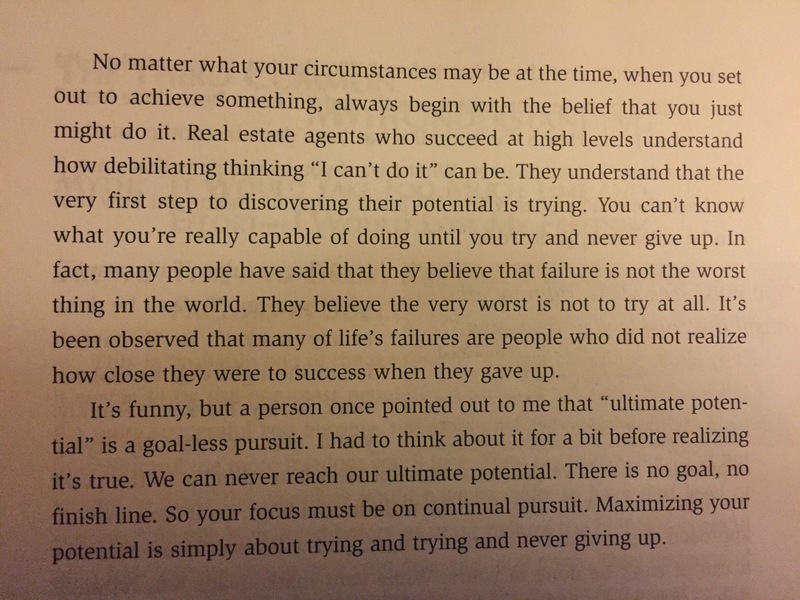 People who succeed at high levels understand how debilitating thinking “I can’t do it” can be. They understand that the very first step to discovering their potential is trying. You can’t know what you’re really capable of doing until you try and never give up. In fact, many people have said that they believe that failure is not the worst thing in the world. They believe the very worst is not to try at all. It’s been observed that many of life’s failures are people who did not realize how close they were to success when they gave up. Today, I wanted to give up. Everything. Every single thing. I sat on the floor by my closet, prayed and looked up at the ribbons hanging from the wall. I heard that voice that burns within me. Wiped the tears from my face, grabbed this book to study for Friday’s book club and this is what I see. Does God ever play like this with you? This entry was posted on February 22, 2016 at 4:34 pm and is filed under Uncategorized. You can follow any responses to this entry through the RSS 2.0 feed. You can leave a response, or trackback from your own site.